If there was ever a time in which we’ve reached peak collaborations, that time would be now. Sting & Shaggy are the pairing that nobody saw coming and I’m not sure anyone was asking for. I mean Sting hasn’t necessarily been in peak form in quite some time and although Shaggy is an instantly recognizable name and voice in reggae, there are countless better artists Sting could have chosen from the genre. However, despite going into 44/876 with a hefty amount of cynicism, I walked away generally positive and with a smile on my face. At times it can be as hokey as you’d expect, crossing off a checklist of myriad Caribbean and reggae cliches, but damn if it isn’t an enjoyable listen nonetheless. 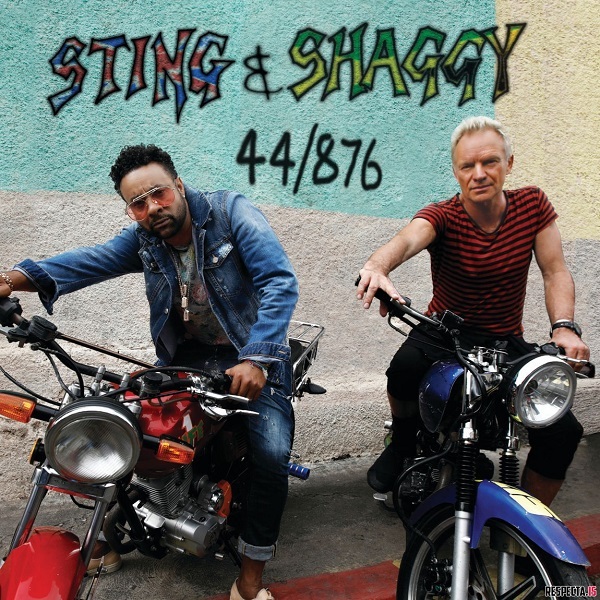 I can’t remember the last time we’ve heard Sting having this much fun (he dives all in), Shaggy’s voice is nothing less than highly distinctive and a great foil to Sting’s smoother vocals, and their clear natural chemistry together makes for good vibes. This reggae-lite collaboration between Sting & Shaggy may not have been asked for, but it is welcomed. Have you heard 44/876? What’d you think about it? Do you think Sting & Shaggy worked well together? Let me know in the comments below and be sure to leave your own ratings and reactions for the album. At times it can be as hokey as you'd expect, crossing off a checklist of myriad Caribbean and reggae cliches, but damn if it isn't an enjoyable listen nonetheless. I can't remember the last time we've heard Sting having this much fun and their clear natural chemistry together makes for good vibes.